Dimensions 7" x 10 1/8"
Dimensions (Folded) 5" x 7"
Classic Linen is a subtle linen finish paper that is the standard of the paper industry. Classic Linen is known for its quality, as well its fine palette of colors. The A7 80# Cover Classic Linen Haviland Blue folders can be used in a multitude of applications. Classic Linen is manufactured by Neenah Paper in the USA. Classic Linen Haviland Blue is also Acid Free, Lignin Free, PH Neutral, Archival Properties. 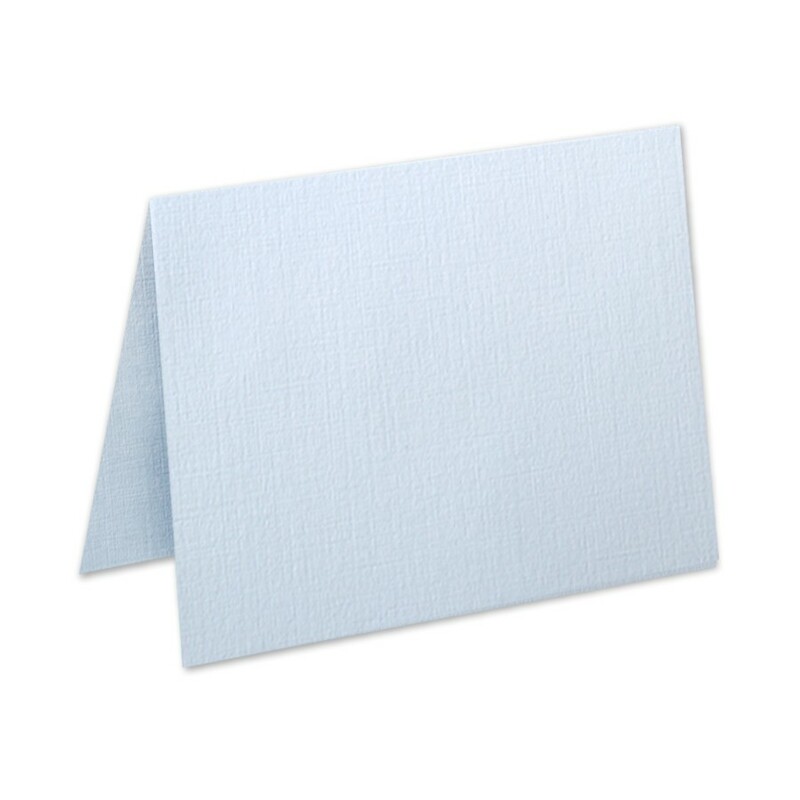 Classic Linen 80# Cover Haviland Blue A7 No Panel Folders Pack of 50 is a stocked product by Announcement Converters ready to ship the same day.